Taipei, Taiwan－March 23rd, 2018－Thermaltake, a leading brand in PC cooling solutions, today released the latest copper radiator lineup – Pacific CL360, Pacific CL420 and Pacific CL480. Available in 360mm, 420mm and 480mm, the Pacific CL Series utilizes an extremely thick radiator with a high-density copper fin design and brass tank to assure the best cooling capacity. 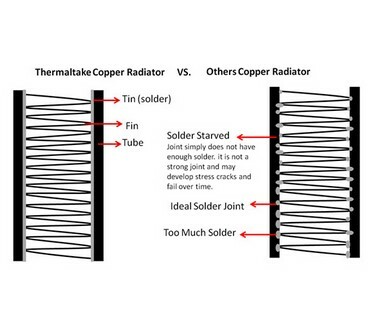 The radiators are lighter and more durable than most copper radiators on the market thanks to the stainless steel made side panels that guarantee durability as well as reduce the weight. The integrated G1/4" threads are optimized for easy installation while rigid connections ensure leak-resistant measures are in place. With an ideal mounting, fitting and flow set-up, the radiators meet your cooling needs in every way! 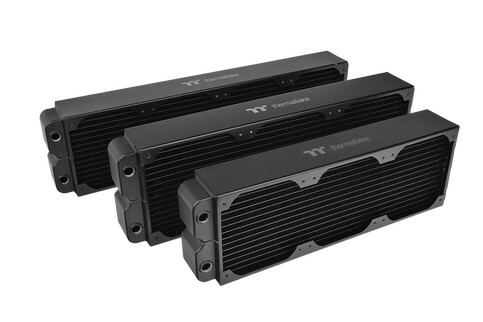 Thermaltake Pacific CL Series Copper Radiators are now available on TT Premium online shops. 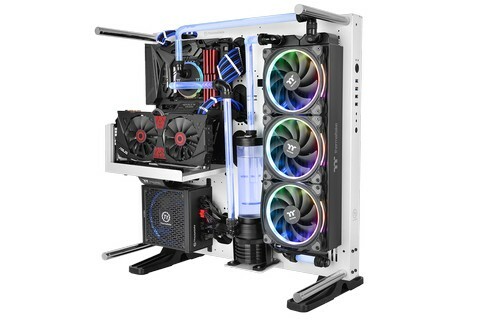 The product availability and price vary by country and region, please contact the local Thermaltake sales representative for further information. To assure the best thermal capacity and increase heat transfer, the Pacific CL Series is engineered with an extremely thick 64mm radiator along with a triple-row flat tube design and brass tank. 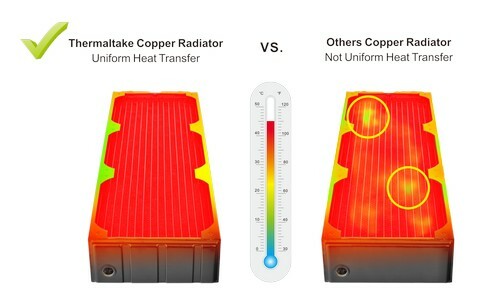 This technique allows that water flows down on the one side, and then passes across the bottom chamber before circulating back to the other side of the radiator. 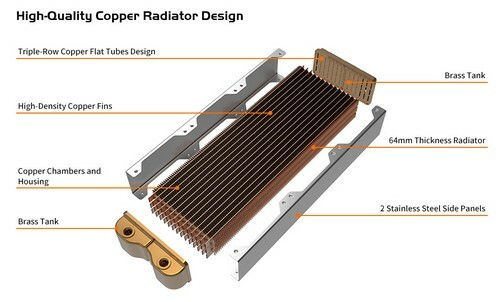 Unlike most of copper radiators on the market, the Pacific CL Series utilizes stainless steel made side panels that increase the durability and strength of the radiator while reducing the weight.